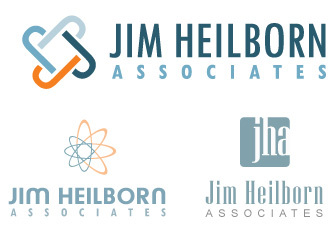 The four “J”s represent Jim Heilborn’s diverse knowledge of the entire corporate structure: sales, financials, operation and HR. An atom/nucleus is a central and essential part of the greater whole. It consists of four ellipses to represent sales, finance, operations and HR. Building a solid foundation from the first laid block.